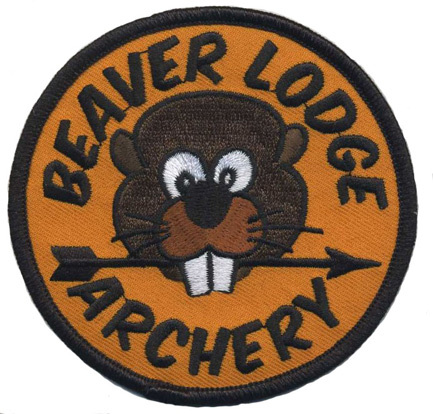 News & Events....Beaver Lodge....Rifle Range....Archery Range....Campground. though donations toward upkeep are appreciated anytime. As with the rifle range, non-members are welcome , provided they are accompanied by a member. Shoots are open to everyone, though there is a modest fee. Scorecards and pencils are in the box on the railing at the entrance, and a donation box is fastened to the post under the kids archery sign. New 3D targets are pricey, and non-member fees and donations will help us replace them when the time comes. 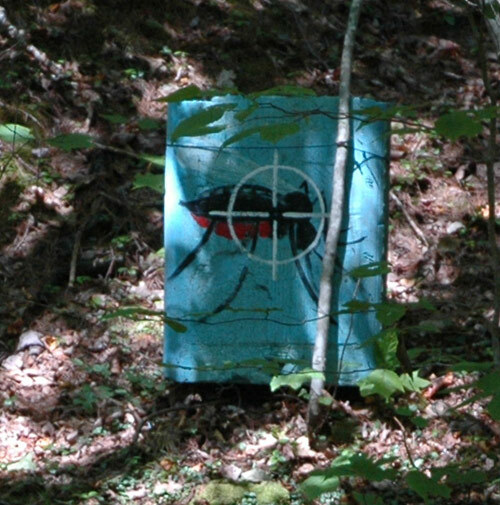 There a very few of these 3D targets that are out in the open. Mostly they are partially concealed by trees and brush, just as you might encounter these critters while hunting. 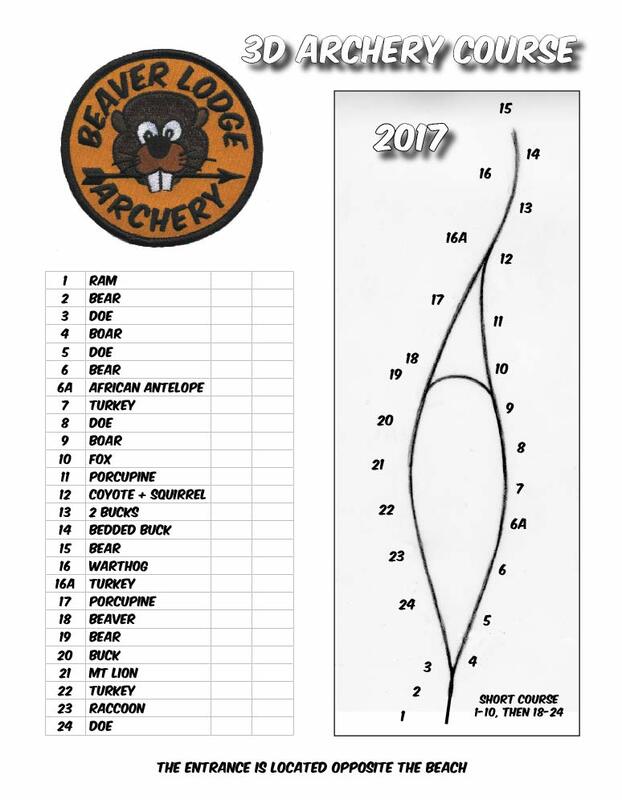 And not only are they not at even yardages (10, 20, 30, 40), but we tend to move them around so you might have to do some looking to find your prey. We will tell you that they are all visible from the numbered stakes when you know where to look. So, you up for the challenge? Come shoot the course. It's free to members. Look for this sign in the parking area opposite the Beach House. on the hillside just for younger shooters. Granted, these aren't your typical archery targets. But whether aiming at a humongus black fly or a rubber duck, these targets are arranged with the hillside for a backstop so you won't be losing your expensive arrows. There are 10 targets in all...even the biggest blood-thirsty mosquito you've ever seen. Okay, okay, you big kids can come test your aim too. 3D Archery began simply as a means of more realistic practice for bowhunters and has developed into a shooting sport in its own right. 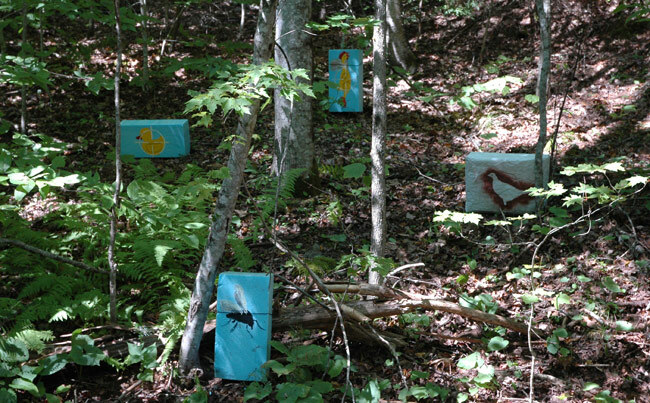 The targets are cast foam versions of lifesized game animals and they are arranged at various yardages throughout a woodland course. In our range, expect to see targets partially concealed by greenry, behind trees, uphill, downhill, and even one across a beaver dam on the far bank. All are placed as you might expect to see the real thing when hunting. It's challenging, no doubt about it. The 3D Range is at the very end of Beaver Lodge Road off Route 235 in Hope, Maine. Look for the signs pointing to the Knox County Fish & Game Association on Route 17 and Route 235. The entrance is located beyond the lodge itself, down the hill, and opposite the Beach House. It's well marked. This is a private range for Knox County Fish & Game Association members and their guests. Not a member? Contact our membership secretary or ask any member. • Members may have a maximum of 2 guests at any given time. • Broadheads may not be used except at the Broadhead Lane to the left of the entrance. • Respect the course and your fellow archers. Our range requires constant maintenance. You can do your part by moving fallen limbs out from underfoot while walking the course. 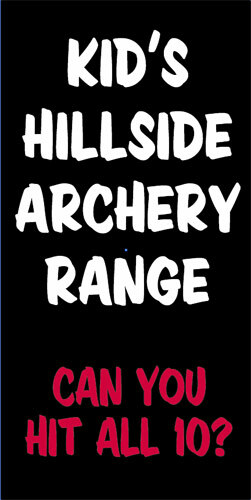 For more information on the archery ranges, contact Sarah Burside.